I barely knew my father-in-law. He passed away in December of 1994 after battling MS for nearly 15 years. I became his son-in-law seven months later. Don was a husband and father of five. Early in their marriage, doctors told them that they would not be able to have children. At the time of his diagnosis, his oldest child (now my wife) was 12. He was a teacher and a soldier. His MS was the progressive degenerative kind. Once a teacher, he lost the ability to comprehend the written word. One horrible afternoon while driving with his kids, MS took hold of the muscles in his legs and wouldn't let him step on the brake pedal. One child ended up with a broken jaw and the other spent a month in traction. He went from walking with a cane, to a walker, to a wheel chair, to bed ridden. I took an active role in the family, probably more so than many sons-in-law. I've watched how this disease affected his family and the rippling effect it's had a generation later. If I can help prevent one family from going through what my family did--it's totally worth it. This disease lies firmly in the grey area. If you know what you're up against, if you know the odds you can steel yourself and maybe even overcome, but this one's wily. The symptoms change regularly--today you're blind, tomorrow all you can see is the ceiling because you can't get out of bed from the sheer weight of the fatigue. One day it's on and you're debilitated and miserable, the next day it's off and you can even look "normal," or it's off provided you "don't do too much." It teases you with windows of health then slams the pane on your fingers. I knew my wife and my wife's family for six years before we got married. After our nuptials, we went about building our new life. We always said, one day we'd ride in Bike MS for Don . . . one day. Days turned to weeks, which turned to months and years, but one day we'd ride. Last year, 2011, we decided that enough days had come and gone. 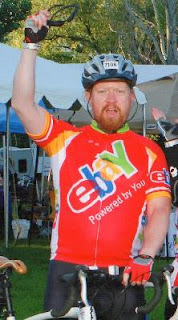 We joined a team and rode in our first Bike MS in memory of Donald Gates Kilpatrick, Jr. It was the best thing I did in all of 2011--spiritually, morally, physically--the high point of my year. I'd never ridden a Century before, but I did that day. When complete strangers run out and give you a high-five as you're riding by and say, "Thank you. Thank you for what you're doing." The feeling is nearly overwhelming. This year we've formed our own team, Gates' Gears, and we're well on our way to meeting our goal of $4000.00, but it's not enough. 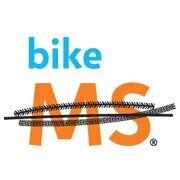 It's never enough until we can eliminate the phrase, "You have MS."
As we drove up to Logan that year to take part in our first Bike MS, I said to my wife, "One of the reasons I'm excited we're doing this is because we're doing. We're not sitting in front of the television watching life go by--we're doing and there's so much good to be done." One out of every 300 people in Utah lives with MS. The National Multiple Sclerosis Society will use funds collected from the Bike MS: Harmons Best Dam Bike Ride to not only support research for a cure tomorrow, but also to provide programs which address the needs of people living with MS today. Because we can fight this disease by simply riding a bike, because we have chosen to help thousands of people through a contribution to the Bike MS: Harmons Best Dam Bike Ride , we are now getting closer to the hour when no one will have to hear the words, "You have MS."
$50, $25, $10, $5, $1--it all adds up. Click here to donate. Thank you.